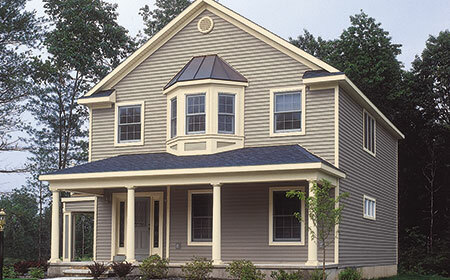 A variety of soffits, fascias and trim accents to compliment the style of your home. Worried about the cost of siding your home? Don’t be. We’ll start you off with a free estimate, so you know what to expect. Your project manager will work to keep the project within budget. Plus, our work is backed by our Satisfaction Guarantee, and our products are backed by their manufacturer’s warranties. Request your free in-home consultation; our pricing options may surprise you. Save $500 on Siding Replacement purchase of $1,500 or more. Offer expires 5/4/2019. Not valid on prior sales or in combination with any other offer. Purchase requirement before taxes and after other discounts and must be made in a single transaction.